A former tenacious Bulldog is now a ferocious Bear. Restated, a former Yale Bulldog is now a ferocious Baylor Bear, leading to a conference-record 40 points. 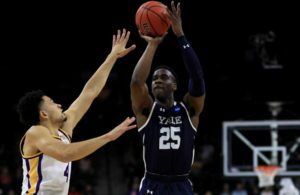 Hard-luck Makai Mason, whose Yale career was curtailed by injuries, has been playing this season at Baylor, where he is a graduate transfer. 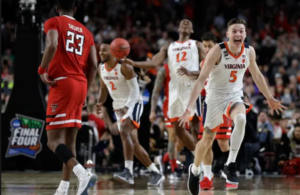 Ivy League teams do not give a fifth year of eligibility, so he had to find a new home, and was willingly accepted at Baylor, a program he helped to beat in the NCAA Tournament three years ago. Even at Baylor, the injury bug kept him down for a while in the preseason and for a few games on the schedule. When he was cleared, he soon broke into the starting lineup and had good, but not spectacular scoring production. 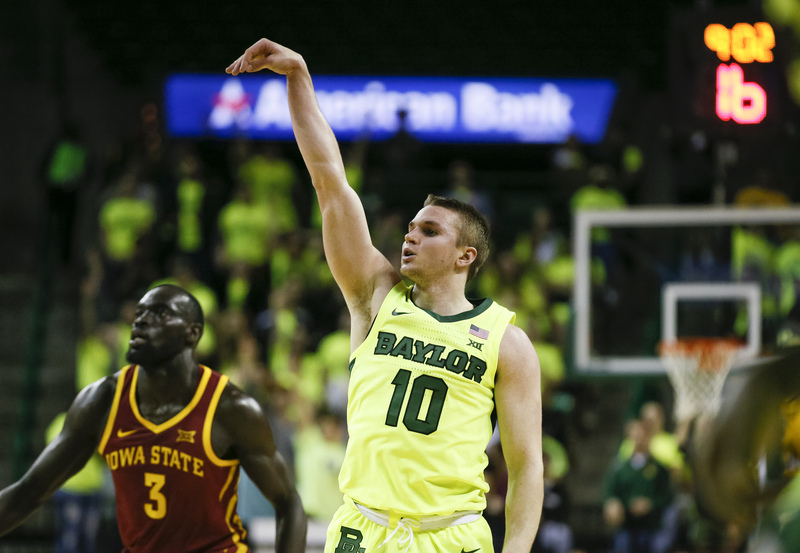 Then last Saturday, Feb. 2nd, he led Baylor to a 90-64 victory over TCU, its sixth in a row and fifth against Big 12 opponents. He merely hit nine 3-pointers, with a career-high 40 points, the most by a Baylor player since LaceDarius Dunn scored 43 points in 2011. His highlight stretch was the first 7:22 of the second half, when he knocked down 22 points, including seven consecutive shots, five of which were 3-pointers. “I’m not really looking at the 3-point line. I’m just looking at the basket,” Mikai said later. His display of accuracy came against the team (TCU) that, going into the game, had led the Big 12 in 3-point shooting defense. And his prolific scoring total set the Baylor record for most points in a Big 12 basketball game. When Mason was taken out toward the end, chants of “MVP” came from the home crowd. 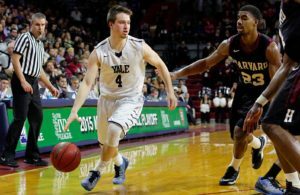 Several times at Yale Mason was named the Ivy League Player of the Week. Now he can claim a similar honor, the Big 12 Player of the Week. Has anyone else ever been recognized as Player of the Week in two different leagues? If you know, please tell us at roundballdaily.com. That’s the kind of understatement we expect from a Yale man. Dedric Lawson, who transferred from Memphis, won AAC Player of the Week, and has won it with Kansas this year.